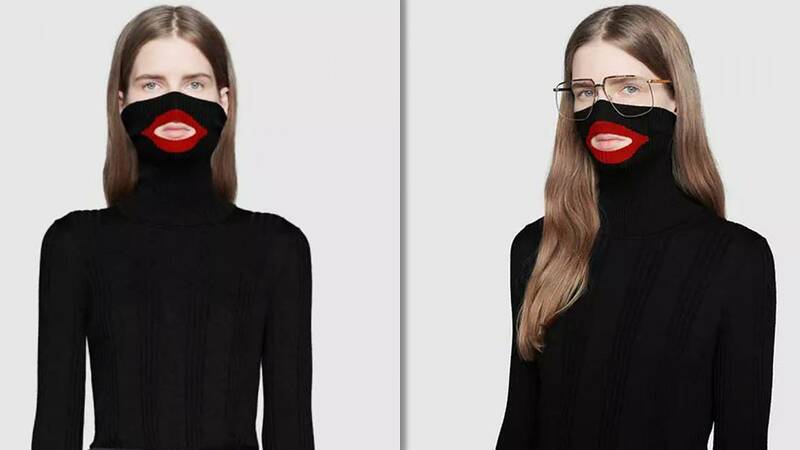 The Italian luxury brand Gucci removed a balaclava sweater from its physical and online stores after the garment came under fire for resembling blackface. "Gucci deeply apologizes for the offense caused by the wool balaclava jumper," the company said in a statement that confirmed the sweater had been pulled offline and from all of its stores. "We are fully committed to increasing diversity throughout our organization and turning this incident into a powerful learning moment for the Gucci team and beyond," Gucci added. The sweater could still be found Thursday on some retail sites, where it was described as "inspired by vintage ski masks." But social media users clearly saw the garment as racist and insensitive. "Someone obviously didnt let gucci know its Black HISTORY Month and NOT BLACKFACE Month," wrote one person on Twitter. Another pointed out a resemblance to a Sambo, a 19th century children's book character that is historically viewed as racist. This is the second recent time a luxury retailer has been accused of displaying offensive images in its products. In December, Prada pulled a collection of monkey trinkets and window displays with "racist and denigrating blackface imagery" from one of its Manhattan stores. The company said it "never had the intention of offending anyone" in a statement it later issued. "Prada Group abhors racist imagery," Prada said. "The Pradamalia are fantasy charms composed of elements of the Prada oeuvre. They are imaginary creatures not intended to have any reference to the real world and certainly not blackface."